Ah, phones. How did we ever get by without them? 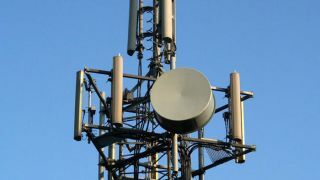 O2 has managed to restore its 3G data network as well as the 2G voice and text service that was returned earlier today. In a statement, the network confirmed, "Our tests now show that all our 2G and 3G services have been fully restored for affected customers. "If any customers are still having problems we recommend they turn their phone off and on again. Once again, we are sorry." This morning the network recommended that users switch off their 3G connection in order to make use of the 2G services, so if you're still not seeing 3G on O2 you may need to tweak your settings back. The network outage began on Wednesday afternoon, with voice, texts and data all affected on customer phones throughout the country – although not all O2 customers were affected. O2 told us that the network issues emanated from "an issue within parts of our core network that [was] preventing some mobiles from successfully connecting". Engineers have been flat out working to restore the service since the network became flakey and will no doubt be enjoying a celebratory cup tea and a biscuit now that it's business as usual.